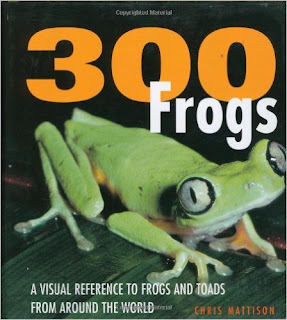 300 Frogs: A Visual Reference to Frogs and Toads from Around the World is the book on our shelf this week that rates the highest with our resident animal expert Dinomite. He has good taste in non-fiction nature books, and it is easy to see why he likes this one so much. 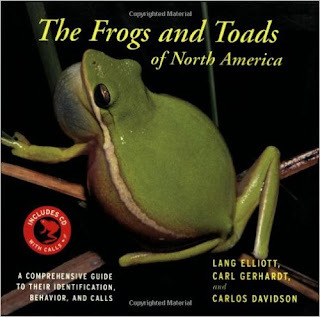 Written by a leading expert in the field, this book is jam-packed with information about a wide variety of frogs and toads, from around the world. The highlight is the photography, which brings these creatures up close and personal to the reader, in all their full-colored glory. A great choice for the serious student of nature or animal life. The Frogs and Toads of North America: A Comprehensive Guide to Their Identification, Behavior, and Calls is a serious academic work of non-fiction for the young nature enthusiast. Written by three authors, this volume stands alongside 300 Frogs as two of the best books about frogs available. What makes this one great is that it remains kid-friendly despite the sheer volume of content, due to the easy-to-follow layout and down-to-earth language. The focus on North America is great for us, since many of these frogs can be observed in person, during a hike in the woods or visit to a nearby lake or pond. This book also includes an audio CD which features field recordings of actual frog songs and chirps. This can create an immersive, sensory-oriented environment that some kids will find engaging and stimulating, while others might find the sounds relaxing. 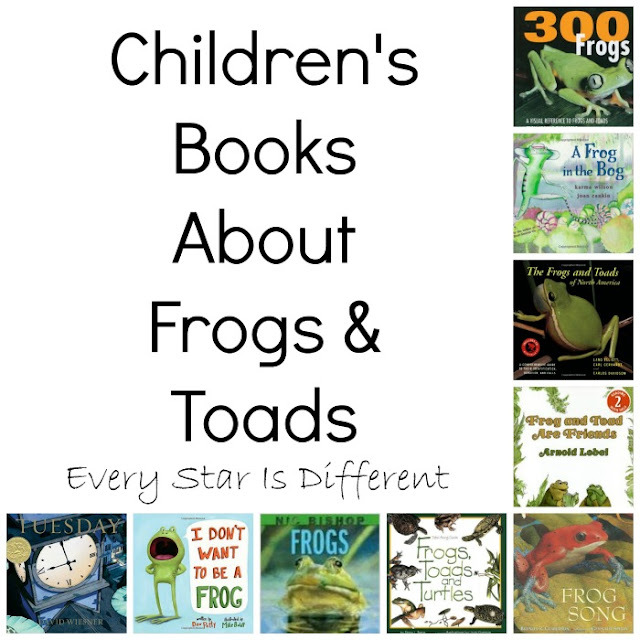 Frogs by Nic Bishop is a non-fiction book about frogs as well, but stands out from the others for two reasons. This is a slim volume and the text is simpler, but the major standout is the photography. Bishop is a renowned photographer, and has several nature books for kids published under his name. It's no secret why; these images are amazing. This is a great choice for the student who has no particular interest in frogs, but can appreciate some cool facts and amazing photographs of these creatures in action. 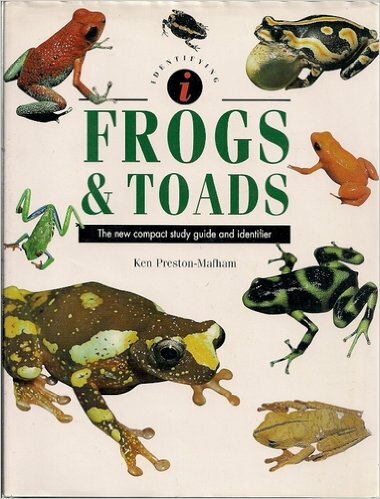 Frogs & Toads: A New Compact Study Guide and Identifier (Identifying Guide Series) is unfortunately out of print, but is still available from third-party sellers or from your local library. We like this volume because it follows the successful model of the books we have already reviewed, plus it is only 80 pages and features some informative graphic that make it easy for early readers or non-readers to understand where these frogs can be found. One small limitation is that the book is intended to be a field guide, but features species from all over the world. Thus, the information about how and where to find the frogs is interesting, but not completely useful, unless you plan on making your frog searching trips global. Despite this limitation, this book is as useful and handsome as the others we have discussed, and serves its role well on your reading shelf if the others are unavailable. 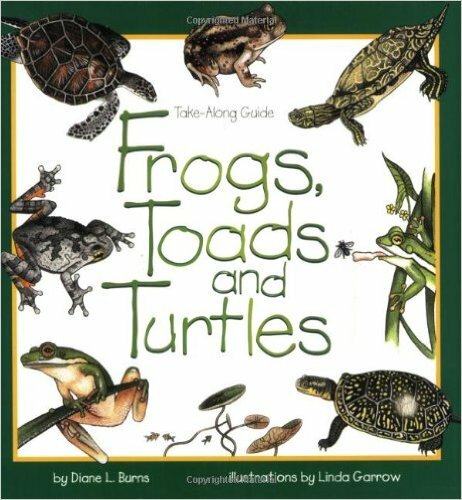 Frogs, Toads & Turtles: Take Along Guide (Take Along Guides) is from the Young Naturalist Field Guide series that we have included in previous units, including Bird Unit 3. 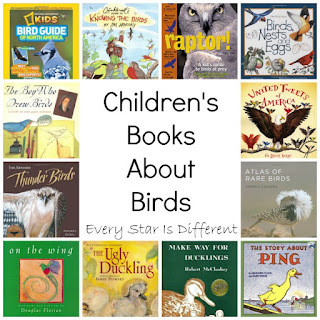 The best thing about these books is that they really encourage outdoor exploration, with simple illustrations and basic descriptions of what to look (and listen) for, and where to look. Observing animals in their natural habitat is the high point of any biology/zoology study, so any book that contributes to that goal is essential. 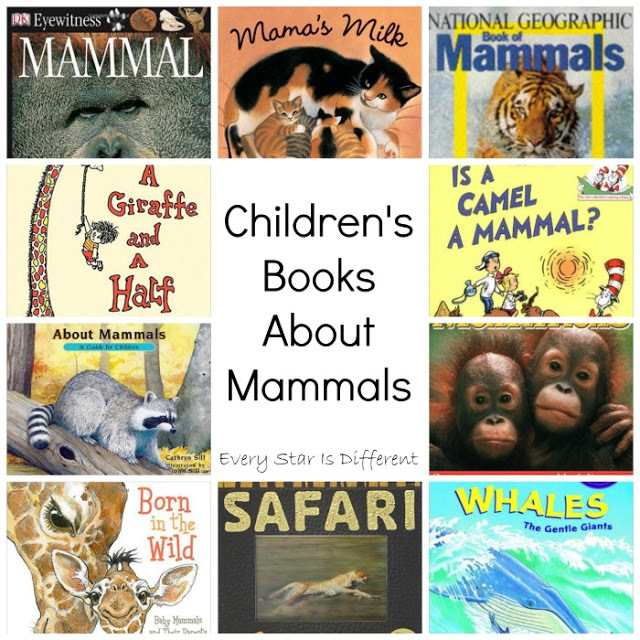 These Young Naturalist books fit the bill perfectly. 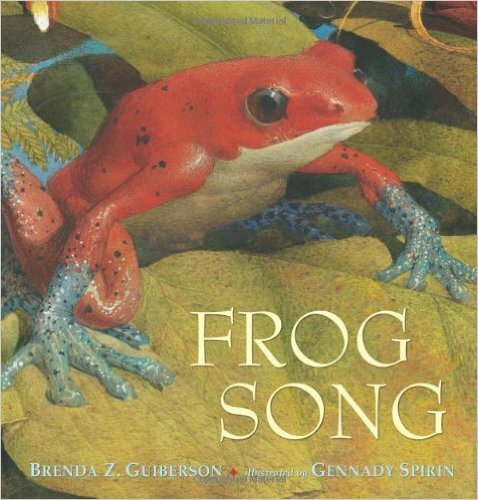 Frog Song is one of those nature books for children that strikes the perfect balance between fiction and non-fiction. Rather than simply present factual information about our froggy friends, Brenda Guiberson and Glenda Spirin provide a little bit of narrative to go along with each species description. 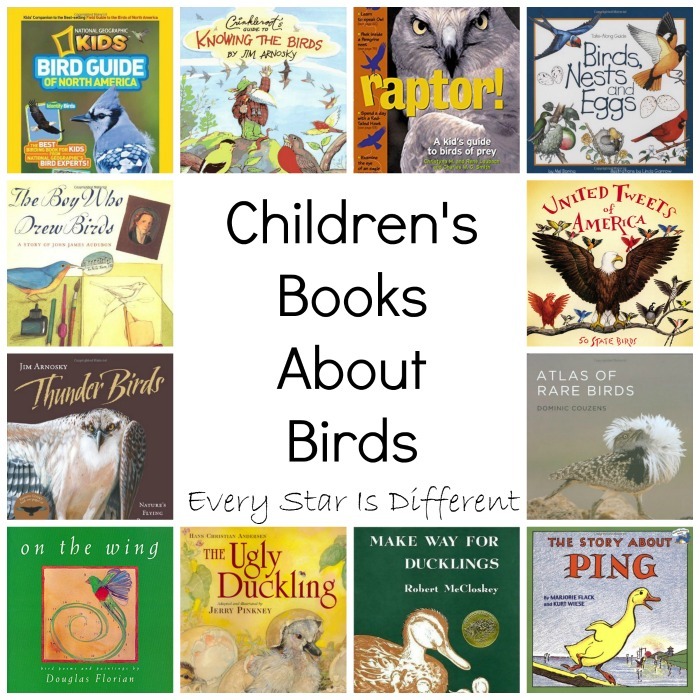 This book is unique in that it emphasizes the sounds associated with these animals, from chirps to slurps. It's a nice sensory-sensitive approach to nature books, which can be of great benefit to a child who is unfamiliar with frogs or toads, or just loves the attention to these often overlooked details. Tuesday is unlike any other book on our shelf this week; in fact, it's not quite like any book we have seen before. A picture book featuring only a few printed words, this is the work of famed children's author and illustrator David Wiesner. He has a beautiful, dynamic art style, painting watercolor images that usually spread across two pages. What makes his art unique is the whimsical, absurd vision he brings to each page; in this case, frogs floating through the air on lily pads! 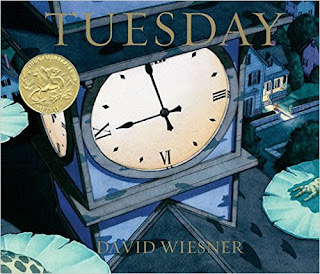 A simple book that requires more careful study of the images rather than text, Tuesday is a nice choice to give our offerings this week some variety and a little bit of magic. 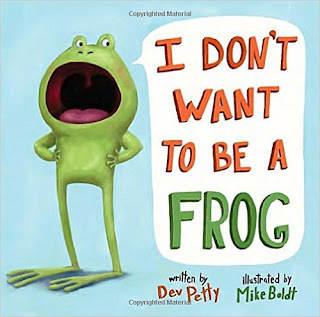 I Don't Want to Be a Frog is a fiction book that earned favorite status of Bulldozer. A cute story about the virtues of being a frog, told in a comic-book style format. with a bit of a twist ending. Dev Petty's text is just dialogue between the characters, with no other narration or exposition, a cool trick that she pulls of well, and it serves the story perfectly. Plus, illustrator Mike Boldt draws one heck of a cute frog. Bulldozer read this book every day it was on our shelves. 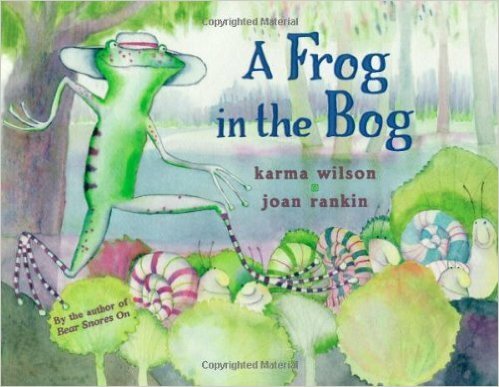 .A Frog in the Bog is another fiction title in our lineup this week, and it is also Princess' favorite book of the bunch. She is a big fan of wordplay and rhyming words especially, and this book delivers in that department. The text is similar to the song about the old lady who swallowed a fly, building the tension, and the fun, as the story progresses. The charming illustrations accompany the tone and text of the story perfectly. Plus, it's fun to read! Frog and Toad Are Friends is one of four volumes by Arnold Lobel, and all four carry the same recommendation. If you are unfamiliar with the Frog and Toad books, you are in for a treat. 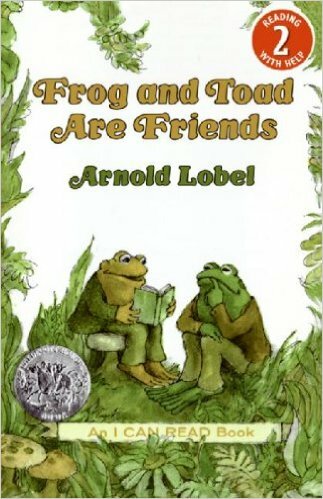 A classic "odd couple", the optimistic, fun-loving Frog and his melancholy, somewhat pessimistic friend Toad have simple adventures doing everyday things, often with hilarious and charming results. If you are already a fan, then the best thing about these is listening to your beginning reader narrate these stories out loud, since the vocabulary and story lines are just right for them. Fabulous list! We are waiting for the tadpoles to show up in our area and then we are gonna study frogs and toads! Those look like great books. We have Frog on a Log and my daughter loves that. I don't think I have any other frog books though. Some of those look super funny. Thanks for stopping by #everything kids this keep. Don't forget to come back and link up tonight! Wow - so many exciting books!